New research by Ipsos MORI for UNICEF UK has ranked the well-being of children in the UK in 16th place out of 29 developed countries. This is a big improvement from the last time similar research was carried out in 2007, where the UK finished bottom of the league. The Netherlands remain at the top of the rankings, followed by Norway and Iceland whilst the UK sits ahead of less wealthy countries such as Portugal and Slovenia. Romania remained at the bottom of the table, behind Latvia, Lithuania and the United States. UNICEF’s Report Card 11, draws on data taken from 2009/2010 and takes into account five dimensions of children’s lives; material well-being, health and safety, education, behaviours and risks, housing and environment. 26 indicators were included ranging from child deprivation rates, NEET rates to healthy behaviours such as eating breakfast and taking exercise via housing determinants, such as how many people share a bedroom. In general, the UK has seen an improvement in children’s experiences since the initial study although in comparison to peers in other countries, this progress has been slow. UNICEF UK say ‘since 2010 the downgrading of youth policy and cuts to local government services are having a profound negative effect’. This is evident in the high numbers of young people not in education, employment or training and the UK is the only developed country in which further education rate falls below 75%. There is good news when it comes the number of children who are overweight and those who expose themselves to health issues including smoking and cannabis use has fallen. Alcohol remains a real issue though the UK with alcohol abuse rate by young people age 11-15 staying high at approximately 20%. Teenage pregnancy is still also a problem as whilst 18 out of 21 studies saw a drop in teen birth rates the opposite is true in the UK where numbers have increased. At the start of the decade, the UK already showed the highest fertility rate in Europe. A really positive result for this country is that when asked about their overall life satisfaction, 85% of children reported having high levels of satisfaction, moving the UK from 16th to 11th place. We think this is a very important indicator as whilst hard data around health indices for example are valuable it is also vital to look into how young people feel about their lives. Measuring well-being, although still a relatively new concept is increasingly important. In these tough economic times, cuts and changes to services (which will have an impact on children’s development) are regularly coming into effect and we need to be able to track what impact these have on young people. It’s not always easy to do as whilst you can track physical health outcomes or exam results, more intangible things such as confidence and self esteem are tricky to measure. Tools do exist though, such as NPC’s Well-being measure, and we hope that reports such as today’s by UNICEF will continue to fuel the focus on improving the lives of children and young people. As the teaching union conference season returns, ushered in by chill winds and snow, can we comfort ourselves with warm feelings about student well-being? As exam season looms and teenagers’ stress levels rise, how able are they to cope? In the Ofsted Framework, schools aren’t explicitly measured on activities which support well-being, and PSHE is often squeezed. Yet most teachers intuitively know that students who are feeling low don’t learn as effectively as they might, and are less confident in a test or exam situation. Which is why many schools work with a range of organisations, often from the youth sector. But how effective is this? We are particularly pleased to learn about a new commission, chaired by former children’s minister Tim Loughton, which will look into the evidence of good practice from successful partnerships between schools and youth organisations. It will investigate how working together can help to improve young people’s social and personal development; evidence of this has not often been collected in the past. Although we hope that temperatures will rise in the next month, we hope that student anxiety will not, and in the season of debate around schooling, we would love to see discussion of student well-being on the agenda. The Wellcome Trust suggest in their Recommended Code of Governance for schools, that key performance indicators for governors should include measures beyond test scores which the recently launched dashboard is based on. Why not propose that the responsibility teachers feel for nurturing students’ self-esteem and relationships is acknowledged? It can then be properly prioritised and funded. As teachers debate many pressing issues and consider the factors involved in providing a ‘well-rounded’ education, we urge you to address the challenge of measuring all the outcomes you value, not just test performance. It may not be as difficult as you think and the evidence will be invaluable. How do different dimensions of well-being impact later educational outcomes? I came across some research published by the Department of Education which starts to answer this question and has the data to prove it. We were delighted to see some detailed evidence emerging, as the link is intuitively obvious but sometimes difficult to demonstrate. The report from the Institute of Education and Childhood Well-being Research Centre found that levels of well-being correlated more strongly with levels of attainment in some age groups. For example children with better emotional well-being make more progress in primary school and are more engaged in secondary school. So, if you can show that you are raising children’s emotional well-being (and if you can know in relative terms whether it is above or below average when you first work with a group) you can confidently predict improved progress in their schoolwork. One of the key findings of the report is that as children move through the school system, emotional and behavioural well-being become more important in explaining school engagement while demographic characteristics become less so. But how you can prove that this well-being is changing? And how can you measure young people’s engagement with school? NPC’s Well-being Measure is designed to help identify these changes and distinguish between different aspects of well-being, whilst indicating how your group compare in relation to a national baseline. It is well worth reading the DfE report in detail to discover which dimensions of well-being are relatively more important predictors of later educational outcomes than others. If you want to see where the children you work with sit within these dimensions, then have a look at our tool and start measuring the difference you make www.well-beingmeasure.com. We know that budgets are tight but we also know the importance of proving your impact and how this can be a benefit when seeking funding in the future. NPC’s Well-being Measure aims to give organisations the opportunity to quantify what they do to improve their services. discount when signing up to the Well-being Measure for the use of two surveys. So what would normally cost you £800+VAT will cost you£680+VAT. Not only does this give you access to your own account to create and customize your own survey, an automatic analysis of your results will be available (saving valuable time and money), so you can see how your group of young people’s well-being changes over time. Take a look on the Children England website for more exclusive member discounts. We are happy to talk to you about how you can get the most out of your survey, and how it can benefit you. Give us a call on 020 7620 4885 or email us wellbeing@thinknpc.org if you have any questions. We are excited to be attending The Gathering Glasgow once again on 27 and 28 February and meeting people from a variety of charities, social enterprises and community groups. 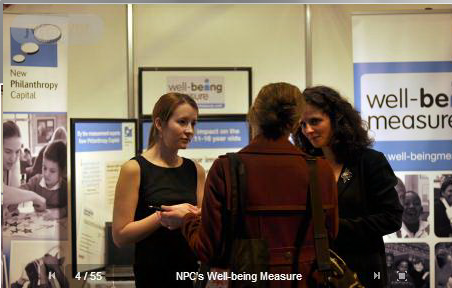 Last year we had the opportunity to speak to a number of visitors about NPC’s Well-being Measure and learnt that measuring well-being could really add to the work many organisations were already doing. We are again holding a Well-being Measure workshop, which provides an opportunity to learn how to measure the well-being of young people. Whilst at the exhibition , NPC’s Tris Lumley is hosting an event Making an impact – why measurement matters and who cares. Come along to hear some findings from our recent research report Making an impact, which presents a pictures of the charity sector’s response to the challenge of impact measurement.organisations already do. We look forward to spreading the word again about our innovative measurement tool and hope to find out more about what Scottish charities are doing in terms of recording their impact. Want to know more? Visit our stand #28 at the Gathering in Glasgow’s SECC on 27 and 28 February, or email us at wellbeing@thinknpc.org. We have been delighted this year to work with a number of new customers and welcome back those that have used the Well-being Measure before. Not only have we updated our national baseline but we have also explored opportunities around developing the tool further, something we look forward to focusing on next year. We would like to take this opportunity to thank you for your support and continued interest. We wish you a very Merry Christmas and all the best for 2013! The Office of National Statistics recently published their report ‘Measuring National Well-being: Life in the UK, 2012’. This report details their findings released in July this year, based on the responses of 160,000 people in the UK. By capturing data on subjective well-being for the first time, we are able to look deeper into what makes a person happy. Material goods and a higher income are quite often assumed indicators of a happy lifestyle, but that’s not always the case as these results show. So why is it so important to get a picture of national well-being? Primarily, having this data will give a better understanding of the policy impacts on well-being and ensure that allocation of what are already limited resources is improved. Also, by knowing more about the factors that contribute to a happy life, people can start to make and change decisions on their lives. Steven Twigg MP, recently voiced the importance of resilience in young people’s development. Echoing this is the Statutory Guidance for Local Authorities on Services and Activities to Improve Young People’s Well-being detailing the duty of local authorities’ to include youth work and activities that ‘raise young people’s aspirations, build their resilience and inform their decisions’. Emotional health in childhood is singled out as the most important factor in adult well-being. Therefore it’s vital to have not only the right interventions in place, but the right measures to capture and evidence impact. How can we measure well-being? Using measurement tools such as the Outcomes Star, the Rickter Scale and NPC’s Well-being Measure can help you to do this. These measurement tools all exist to help you prove the impact you are having on the individuals and groups you work with. Being able to show evidence of the contribution you make to young lives is key and can help pave the way for their futures. Contact us if you wish to discuss using NPC’s Well-being Measure by sending an email to wellbeing@thinknpc.org. It’s all well and good knowing what outcomes you are hoping to achieve from an intervention but figuring out the right approach can be a challenge. There are lots of techniques and measurement tools available and they can be overwhelming. 1.Decide what’s important. Define your research question and be clear what you want to achieve. 2.Keep it simple. Concentrate on what you really want to know and don’t try to be too ambitious in the scope of your evaluation. 3.Know your limits. You need to choose an approach that matches your resources. 4.Consider investing in training. If you are not confident, get training or seek external help. 5.Think about the future. If you are building your own system, bear in mind that it may quickly go out of date therefore look at the year-on-year costs. 6.Have an open mind. Research is intended to tell you what you don’t already know, so you may find things that surprise you. Remember that planning is key so don’t be tempted to jump straight in! Customising your survey by adding tags allows you to filter your results and compare different groups taking your survey for example, pupils from different form groups. For example, if you collect data on whether or not young people are eligible for free school meals, you can compare the two groups and see if there is a difference using our filtering tool on the ‘View results’ page. You can add up to five of your own tag questions on the ‘Participant information’ screen (Step 2) when you create your survey. 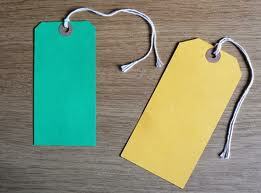 When creating tags, you can decide whether the information is entered by you or by the participant. This will be useful if you want to include information about the young person that you have collected before or if it is something that you do not want to ask them, for example about their family circumstance. Adding custom tags is a simple way of increasing the richness of your analysis. Make sure that you make the most of them! If you have any questions please email us at wellbeing@thinknpc.org. NPC’s Well-being Measure is simple to use and easy to administer. There are only 6 steps to completing the survey, one of which is particularly sensitive. 1. Make sure the file opens properly. If it doesn’t it may be because you do not have MS Excel (or similar) installed on your computer. 2. Make sure the file is saved in the correct format (.csv). This should happen automatically when you download the template but you can also select it from the menu of file types when you save any Excel file. 3. Check that you have entered data in all the relevant cells in your spreadsheet. With the exception of email address (which you can leave blank), you have to enter a valid answer in every cell. Note that text is not case sensitive, so it doesn’t matter if you use a mix of lower case and capital letters. 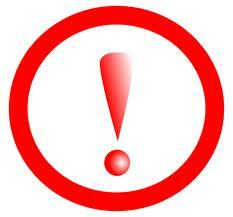 Do not add punctuation however for example, a comma between two names. 4. If you have chosen to add your own tags, you must enter answers exactly as you entered them when creating the questions. The possible answers appear in the second row. If you try to upload a spreadsheet with mistakes, you should receive a message telling you where those mistakes are. Finally, if you can’t locate the error, sometimes it is better to go back and start again – particularly if you don’t have many participants. The error is likely to be very minor but sometimes it will take longer to find the problem than redo your list. If you still have problems uploading your list of participants, you can email us for technical support on wellbeing@thinknpc.org.